NORTH BAY, Ont. 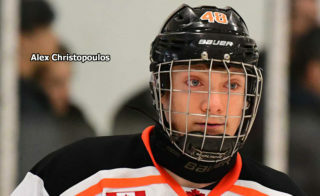 – Prospects Pacey Schlueting, Cameron Peters and Joe Vrbetic of the Ontario Hockey League’s North Bay Battalion are among 111 skaters and goaltenders invited to Canada’s national under-17 development camp. 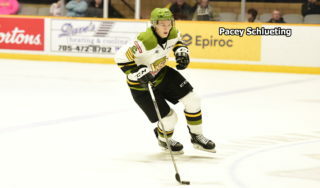 Defenceman Schlueting, centre Peters and goaltender Vrbetic were the first three Battalion picks in the OHL Priority Selection in April, with North Bay native Schlueting taken ninth overall in the first round and Peters and Vrbetic selected 29th and 31st overall respectively in the second round. 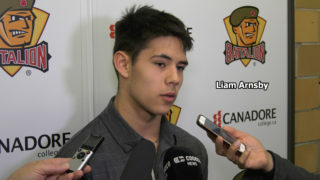 All three have signed standard player’s agreements that include education packages with the Battalion. The camp is scheduled July 21-27 at Canada Olympic Park in Calgary. Those invited, numbering 63 forwards, 36 defencemen and 12 goaltenders, will be divided into six teams for fitness testing, on- and off-ice training, classroom sessions, practices and intrasquad games. Brad McEwen, head scout for Hockey Canada, oversaw player selections, with assistance from Barclay Branch and Darryl Woodley for Ontario, Carl Bouchard for Quebec, Barclay Parneta for the West region and Darren Sutherland for the Atlantic area, as well as member representatives. 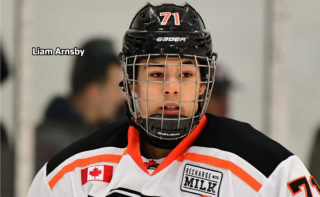 All 111 invitees have been drafted by Canadian Hockey League teams, numbering 54 from the OHL, 29 from the Western Hockey League and 28 from the Quebec Major Junior Hockey League. 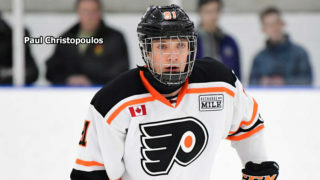 Schlueting played last season with the North Bay Trappers minor midgets, while Toronto resident Peters was with the Toronto Marlboros minor midgets and Vrbetic, from Dunvegan, Ont., played for the Don Mills Flyers minor midgets. 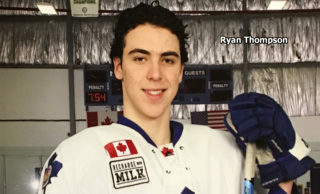 “The national under-17 development camp provides a unique opportunity for players to learn about what it takes to be part of Team Canada alongside the best young talent in the country,” Shawn Bullock, Hockey Canada’s senior manager of hockey operations and men’s national teams, said in a news release. After the development camp, players will be evaluated through the early season before 66 are named to one of three Canadian entries – Team Canada Red, Team Canada White and Team Canada Black – that will compete at the World Under-17 Hockey Challenge scheduled Nov. 3-10 at Saint John and Quispamsis, N.B.